A task team was established to identify a suitable new building, draw up a timeline for the relocation and to resolve any outstanding issues. 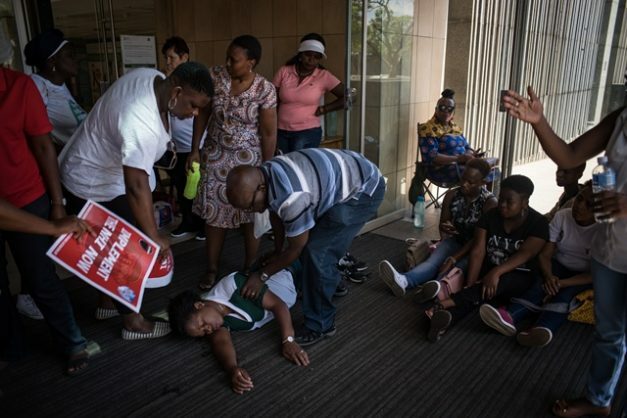 Minister of Health Aaron Motsoaledi has finally agreed to workers’ demands to move the department headquarters from Civitas Building in Pretoria. The department announced earlier this week they had resolved the ongoing standoff between labour unions and the departments of labour, health and public works and had established a task team to organise the relocation. According to unions and staff, who have been protesting outside the building since early last year, the hi-tech building was unsafe. They said the ventilation was poor as there were no windows and that the building contained black dust which caused people to have headaches and dizziness. Staff said several colleagues had collapsed inside the building, with one dying in January after having a stroke inside Civitas last year. An amicable solution was found when the unions and the departments of health, labour and public works met in Cape Town last year in a bid to end the standoff, Motsoaledi said. “We reached the conclusion that this standoff is not in anyone’s interest. The only solution was to forget about the technicalities and legalities of this matter and to move. “It was a pragmatic decision,” he said. A task team was established on Monday to identify a suitable new building, draw up a timeline for the relocation and to resolve any outstanding issues, the minister added. While the Civitas Building has cutting-edge technology, such as chillers to cool it and a state-of-the-art fire prevention mechanism, Motsoaledi said they would opt for a far simpler property. “A hi-tech building needs high precision maintenance. Anything that happens, such as removing one screw, could affect the entire system. The Public Servants Association (PSA) welcomed the decision. It said that the unions, including ally the National Education, Health and Allied Workers’ Union, had been persistent over the issue. “We remained resolute that we would not tell our members to occupy a building if it was not confirmed to be safe. “If the mutual feeling is to find a neutral place, then we really appreciate that move,” said PSA assistant general manager Reuben Maleka.